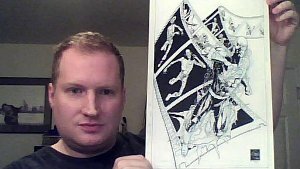 I bought this piece at the 2011 Heroes Con directly from the artist, Scott Kolins. This issue was to have the origin of Reverse Flash by Geoff Johns and Kolins, but was canceled due to the schedule of DC’s Flashpoint. I believe this is the cover rough, I’m not sure if a final cover was done however.The art is on 11×17 bristol, and a larger image is shown below. It’s still not clear whether the Professor Zoom-focused issue was scrapped completely or repurposed as the Flashpoint: Reverse-Flash one-shot. 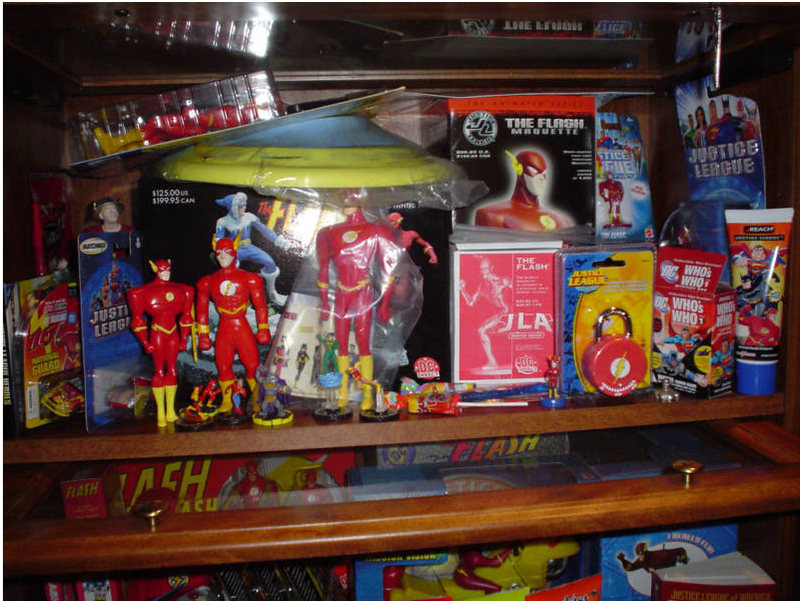 This entry was posted in Covers and tagged Art, eBay, Flashpoint, Professor Zoom, Scott Kolins on October 10, 2011 by Kelson. 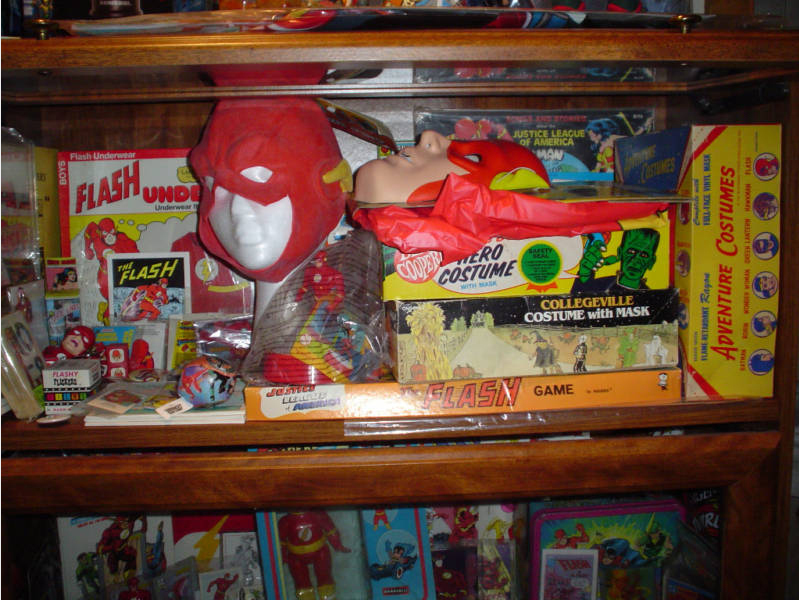 When you think about the large Superman, Batman or even Wonder Woman collections and items that are out there, then you consider how few Flash items there are, it’s pretty amazing to think that there are over 250 separate and “Flash-only” pieces here and available all at once. This collection has been amassed over 40 years. Each decade and era of the character are represented: 1940’s, 50’s, 60’s, 70’s, 80’s, 90’s and now. 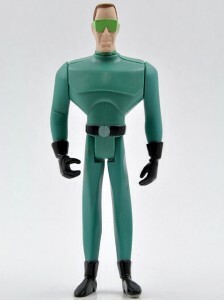 Along with the expected toys, action figures and posters, there are several “very high value” items included: a 1942 Pinback (excellent), a 1961 Vissari Halloween costume (MIB), a 1946 Wheaties Giveaway Comic (Fine – Very Fine), a 1965 Ben Cooper Halloween Costume (MIB), a 1967 Hasbro Justice League – Flash board game (MINT) and Kenner Super Powers Prototypes and “test shot”, just to name a few. 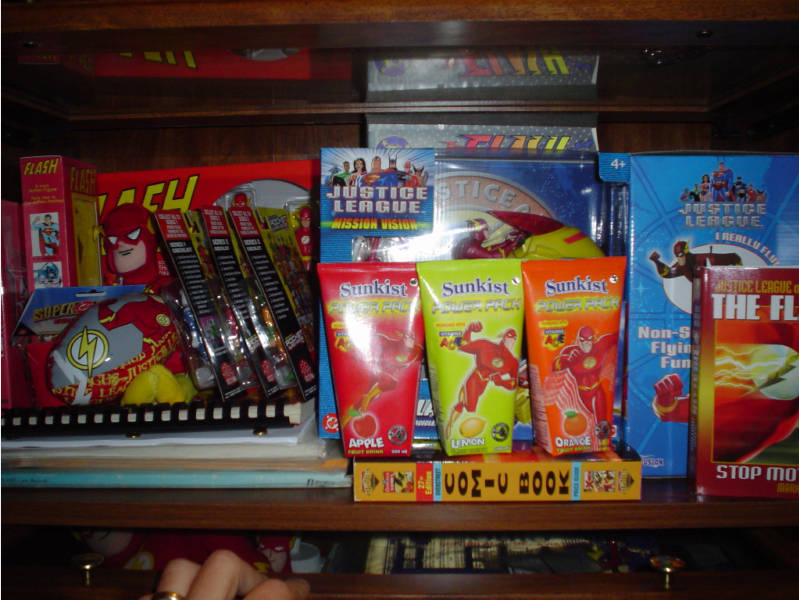 Also, in the collection are items from the 1989-91 TV show – scripts, cast and crew items and advertising pieces. These sought-after items more than justify the Buy It Now price. Personally I have my eye on that Tiger Flash LCD Video Game from the early nineties, but unfortunately he does not sell items individually. The entire collection has to be purchased all at once and the Buy It Now price of 12k does not include shipping, although he does offer Local Pick Up. 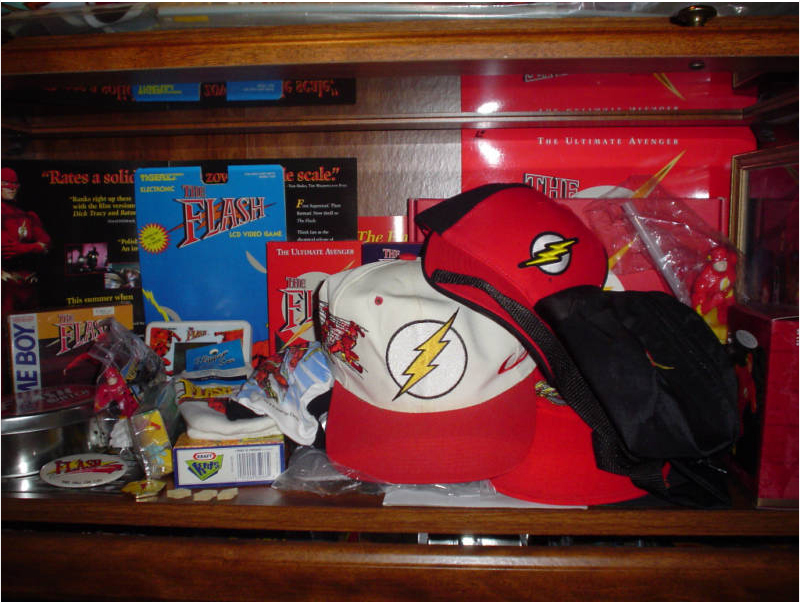 Glen Antonio had an idea about Flash collectors teaming up to purchase it and divvying up the loot accordingly. Who’s down? There is a complete list of the items on the auction page and a rough youtube video of the collection HERE. The auction ends in 4 days and 19 hours so that gives us a little time to have a yard sale and take out a second mortgage on the house. 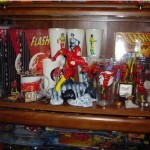 I would seriously have to sell every item in my Flash Collection just to afford this and that might not even be enough. If one of you guys ends up buying this, please let me know. I’m desperate for that Tiger Game. 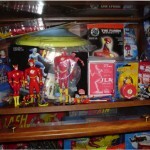 This entry was posted in Collectibles, Fun and tagged eBay, Flash Collection, Flash Museum, Glen Antonio on May 17, 2010 by Devin. 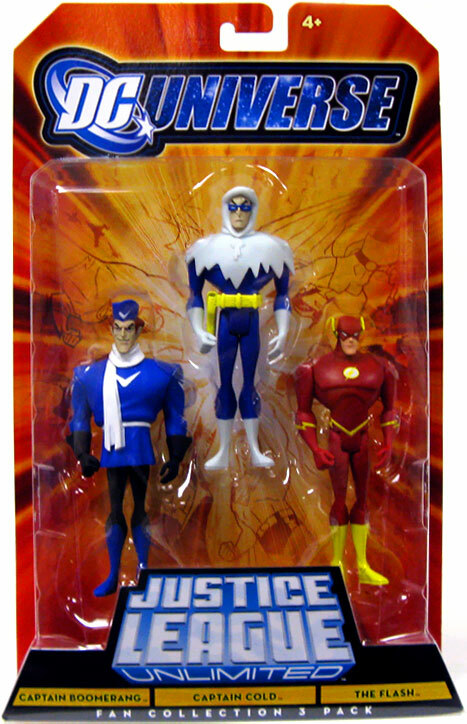 For those still interested in picking up the JLU 3-Pack featuring Captain Cold and Captain Boomerang (as well as yet another Flash) the prices of the set on the secondary market are leveling off nicely. The lowest starting bid is 15.99, which isn’t rock bottom or anything, but a far cry from the 60 and 70 dollars the set was going for only a few weeks ago. Not to mention that Target raised the prices of JLU 3-Packs in September of last year to $15.99, so it’s the same price as purchasing it in the store. Of course the difference rests on the final bidding price and shipping and handling versus gas. Also of equal importance to note there appears to be a lot more of these 3 packs available, which is undoubtedly contributing to the lowered prices. 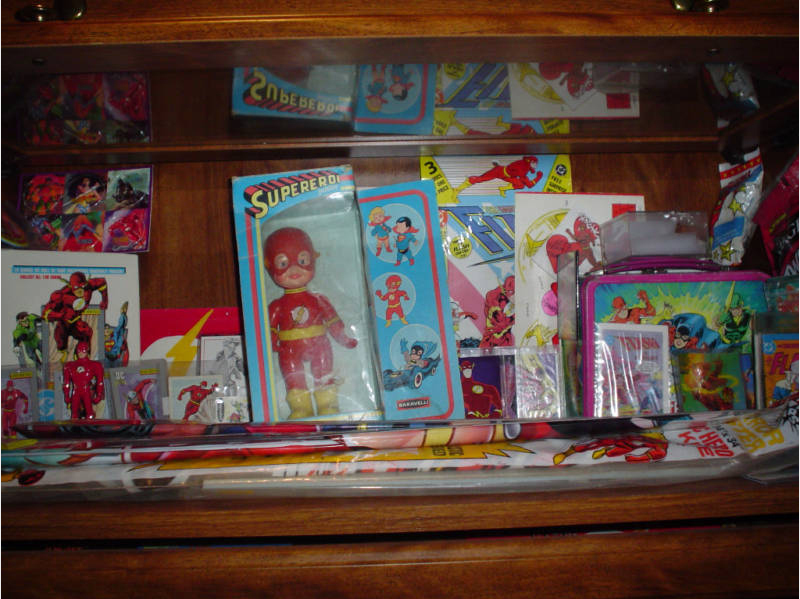 Punching in “captain cold boomerang” in the eBay search engine under “Action Figures” logged me 13 results. Not bad compared to the whopping “1” I got late last month putting in the same search terms. As mentioned previously the lowest price was $15.99, which is practically the same when compared to Target prices, but there are still a couple sets going for scalper prices as high as 50 and 60 dollars. Hopefully they sit on eBay for a long time. Btw good news for those still on the look out for Weather Wizard. The Livewire, Weather Wizard, and Superman 3 packs have been very plentiful on eBay lately. Unfortunately the prices are still ridiculously high, with most of the “Buy It Now” prices of the 15 results ranging between 30 and 50 dollars. This is a good lesson in waiting. I’m just too impatient when it comes to picking these up. At the same time though with Mattel’s poor distribution it’s sad that I automatically just resort to eBay and getting it asap because I don’t know when or if it will hit this area. In any case good luck to those still hunting. This entry was posted in Collectibles and tagged Captain Boomerang, Captain Cold, eBay, JLU, Livewire, Mattel, Weather Wizard on May 14, 2010 by Devin. 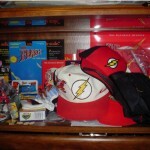 Spotlight: Arrobasilver Flash Jewelry and 10% off for Speed Force Readers! A sterling silver Justice League/The Flash-themed class ring! Thinking this ring popping up was a random one of a kind occurrence, I quickly snatched it up. When the ring arrived a week or so later it came with a catalog for Arrobasilver.com. I looked up the website and didn’t really see anything else Flash-related at the time, although they did have class rings for every member of the Big Seven. Nevertheless I still subscribed to their newsletter because A) The ring was gorgeous, had a great heft to it and was extremely detailed. And B) I wanted to know if and when they added new Flash stuff to their catalog. And last but not least “Professor Zoom” Red on Black. Pretty nice huh? One doesn’t have to be ultra-brazen to wear these out in public, but they still have a distinct look and unique flair to them. They run for $54.99 USD plus shipping, and with the amount of creativity, and craftmanship that goes into these pieces I’d say they are worth at least double that. Not only that but they are officially licensed by DC Comics and Warner Bros and that authenticity shows. By the way when I asked Arrobasilver for permission to feature them they were kind enough to give Speedforce.org an exclusive promo code to knock 10% off of these bad boys. Just enter GA001 when checking out. 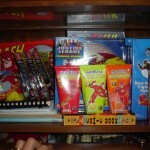 Also stay tuned for some exciting news concerning Arroba Silver and Speedforce.org in the next few days. For those random non-Flash fans that show up here from time to time, Arrobasilver does much more than just Flash Rings. They have over 20 Green Lantern Ring designs alone that you can check out HERE, as well as other Justice League-related rings including a swanky Captain Marvel (Shazam) Ring they just released a few weeks ago. Remember: GA001 gets you 10% off exclusively so take advantage of this unique opportunity while you have the chance. Remember, some exciting news is coming up in the very near future concerning Speedforce.org and Arrobasilver so keep an eye out. 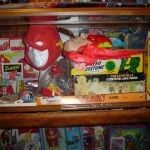 This entry was posted in Collectibles, Flash News and tagged Arroba Silver, Captain Marvel, Dark Flash, eBay, Flash, Green Lantern rings, Justice League, Professor Zoom, Ring, Shazam on March 5, 2010 by Devin. 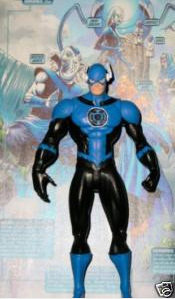 Custom Blue Lantern Barry Allen Figure on eBay! 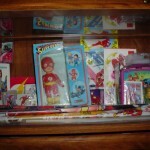 As a Flash collector I spend a lot of my time on eBay. 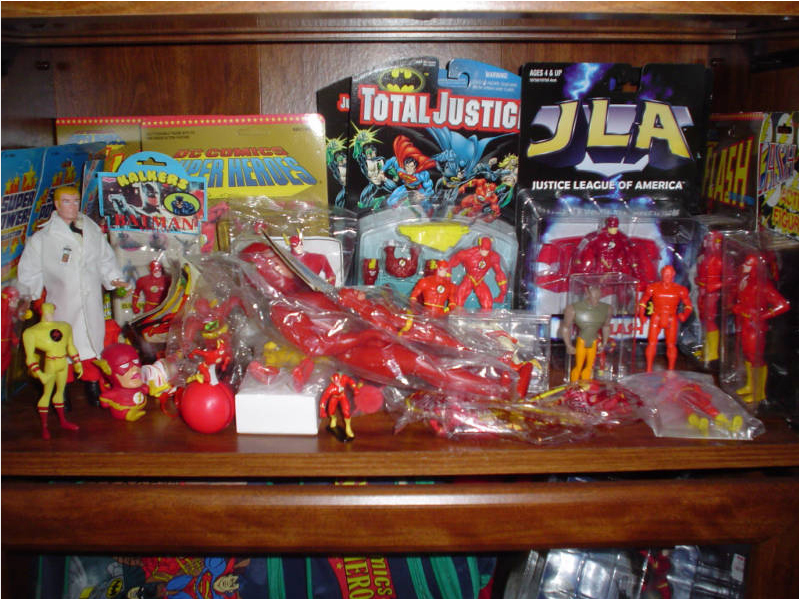 Whether it’s looking for good deals on action figures or hunting for some rare gem of a collectible, I spend a lot of time on the site. This afternoon I came across a pretty sweet custom of Blue Lantern Barry Allen up for auction. Interesting to note that the custom is astonishingly pretty accurate to the official action figure of Blue Lantern Flash by DC Direct design wise. I actually think I dig the custom on eBay a little more though. Especially the way the belt is worked right into the Blue Lantern chest design as opposed to being awkwardly painted over it. 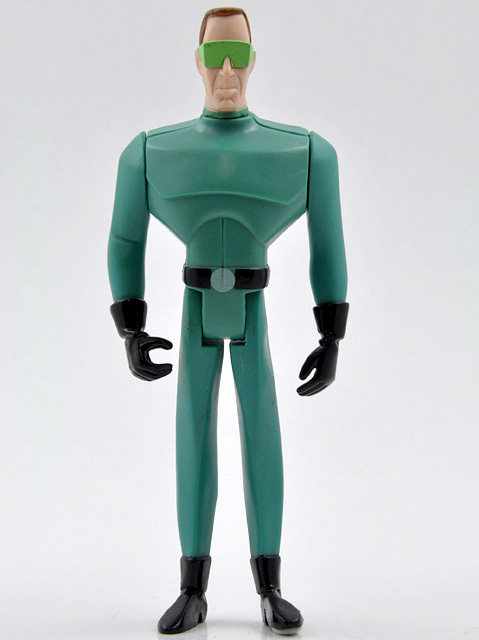 The previous design may work in the comic but on an action figure it stands out a lot more than it should. This custom is being brought to us by nissan_nx2004 and Black Lanterns Green Arrow and Hawkman are also included in the auction. Pretty nice huh? The auction is currently at $75.00 with 2 days and 21 hours left in the auction and you can view it here. The listing also has some additional pics of Blue Lantern Flash and Black Lanterns Green Arrow and Hawkman. 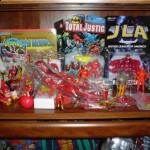 This entry was posted in Collectibles, Flash News and tagged Action Figures, Barry Allen, Blackest Night, Blue Lantern, Custom Figures, eBay, Green Arrow, Hawkman on February 15, 2010 by Devin. Do you want to own a piece of Flash: Rebirth? Now’s your chance. 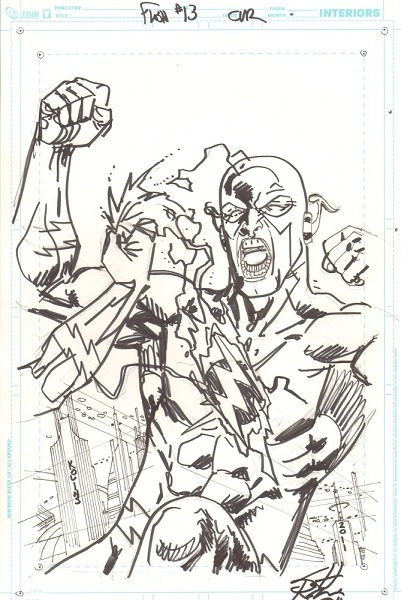 Ethan Van Sciver has posted two pieces of original art from the miniseries on eBay: the Flash: Rebirth #2 Cover and a Flash: Rebirth #4 splash page featuring Jay Garrick and Bart Allen smacking down the Reverse Flash. Both auctions end on Thursday, February 18. So far the cover is up to $267.00, and the splash page is up to $108.50. Lia Brown reports that this isn’t the first time original art from the series has made it to the online auction site, though this appears to be the first time the artist has put it up for auction there himself. Update (Friday): The cover sold for $2,310 and the splash page went for $1,152. 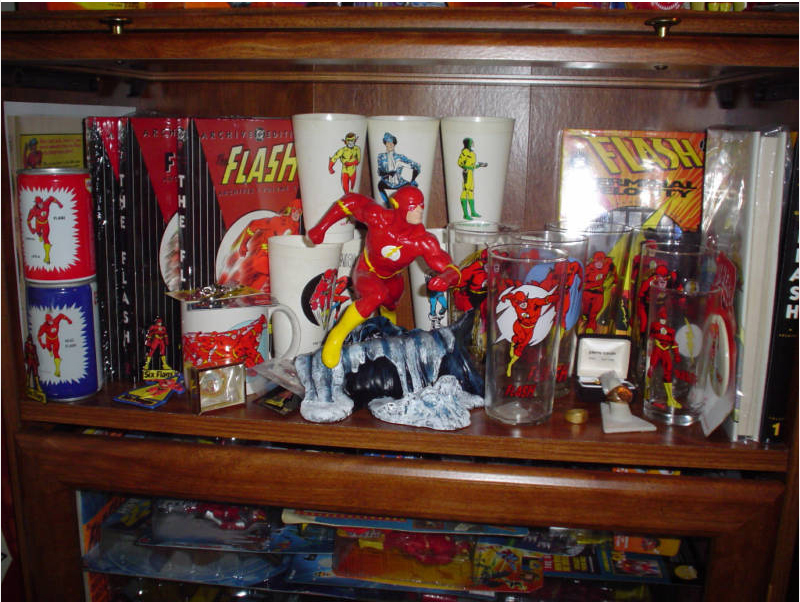 This entry was posted in Creators, Timely and tagged Art, eBay, Ethan van Sciver, Flash: Rebirth on February 15, 2010 by Kelson.